Theland Kicknosway, of the Wolf Clan, is a proud member of the Potawatami/ Cree Nation, and resides within the Walpole Island, Bkejwanong Territory in Southern Ontario. A 15 year old, singer and grass and hoop dancer, who helps in ceremonies throughout Ontario. He enjoys offering his gifts of song/dance/voice for audiences of all ages. Theland has been a Blanket Exercise Facilitator for the past 5 years. 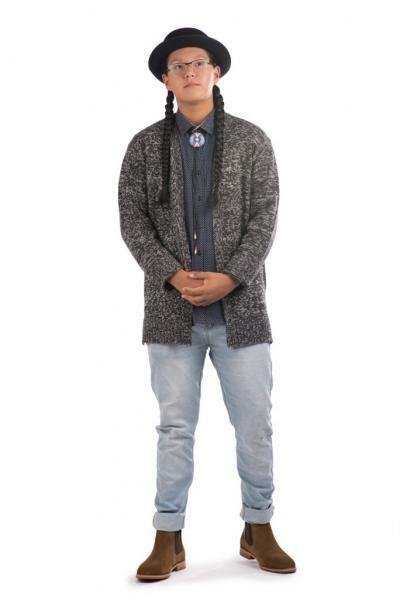 Recently, he was awarded the Indspire Award from Culture, Heritage & Spirituality and was one of the youngest recipients in the 25 year History of the Inspire and Achievement Awards.